Regardless of the new adventures ahead, you still have your same old babe here, just trying to make life a little bit easier. Which brings me to my March purchases! This has been a bit of a weird month, in that I didn’t go out and purchase everything at the beginning of the month like I normally do because of my trip to San Francisco. I thought for sure I would come back with some goodies. BUT. As a huge surprise to all (myself included), I didn’t buy a single thing haha. So, when I came home, I knew I had my eye on a few things that needed to be added to my shopping bag haha. First things first. With spring right around the corner, a few pairs of shoes were a must. Lucky for my budget this month, I ended up getting two SUPER AFFORDABLE pairs that are going to carry me right on through to the Fall. Now, knowing me, this probably won’t be the end because well…#addict. But for those of you that don’t want to have to worry about picking and choosing what shoes to get of the upcoming seasons, head to this post right here, where I break down the four must haves. Orrrrr, keep reading and find two of the ones I purchased exactly. Every girl needs a nice pair of heels that will go with every outfit, are comfortable, and won’t break the bank. Look no further, because this pair I tried and tested with a serious shopping spree and came back home not to head straight to my closet to take them off. At just under $30 (with an additional 15% with code “thechicdelight15”), you seriously can’t go wrong! Head quickly though, because this shoe is selling out fast! 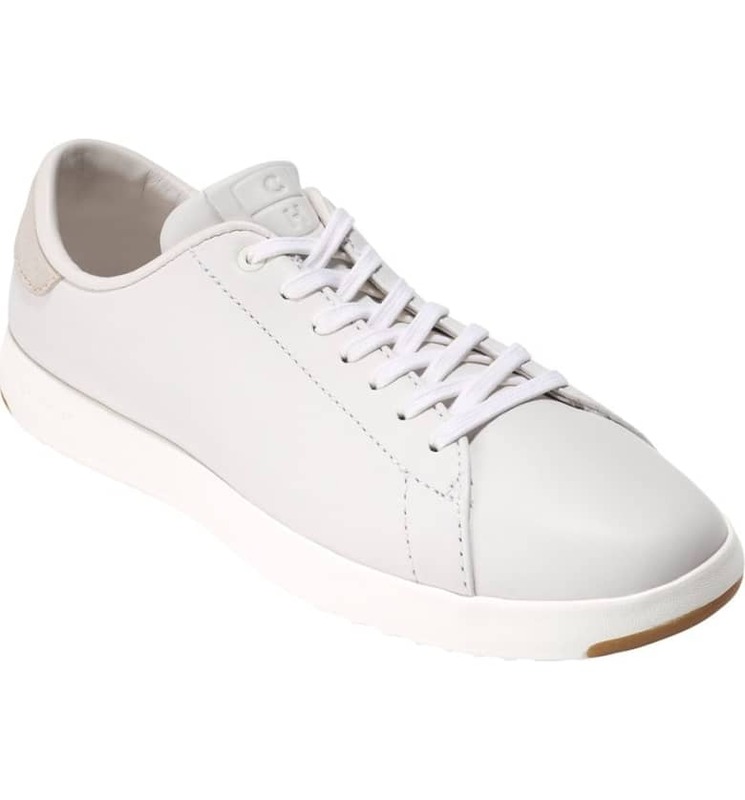 The next pair of shoes I bought was a sneaker because being in San Francisco made me realize that besides workout shoes, I didn’t really have any basic sneakers I could walk around and sight-see in, run errands in, or just throw on when I didn’t want to have to think about an outfit. After searching for a little bit, I finally landed on this pair which are worth every pennnnyyyyyyy. This pair is super comfortable and looks great with tons of different outfits. Next, was another accessory I had been eyeing for a while, but wasn’t sure if I should get it. 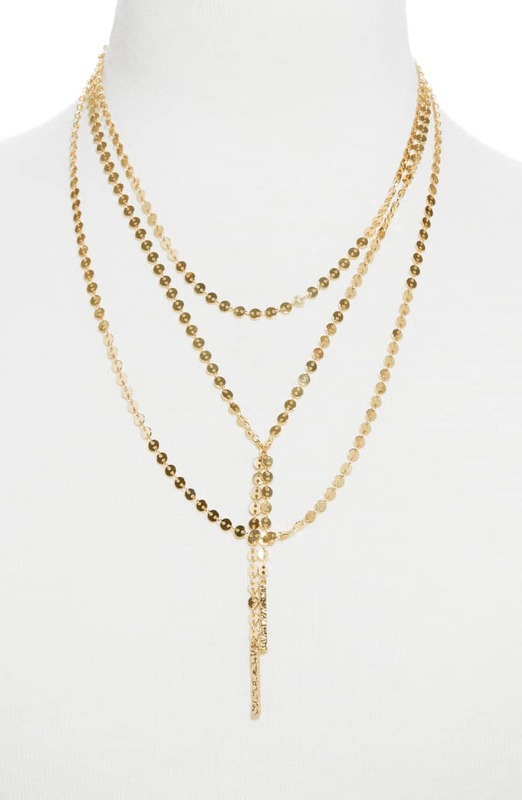 I decided to go for it though because I had been eyeing this necklace since LAST YEAR. I am so happy I did too because I honestly have worn it multiple times this month since buying it. I love simple and delicate jewelry and this one fits my style perfectly. I opted for the gold because I love gold jewelry and it looked good on my skin tone, but it also comes in silver and rose gold. We are currently at about $208 now, so this next one was a great squeeze into the budget and has been a wonderful basic for my wardrobe. 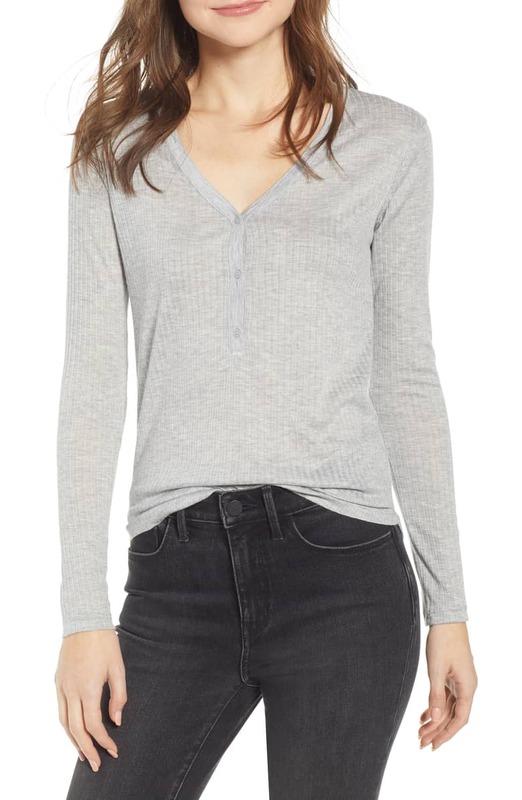 This henley is so so soft and is super easy to style. Currently, I have been wearing it tucked into jeans with a cute belt and my Baublebar necklace from above, but I also love it with shorts. It is comfortable and easy, which you know I am all about. That leaves just about $20 left in the budget for some books! 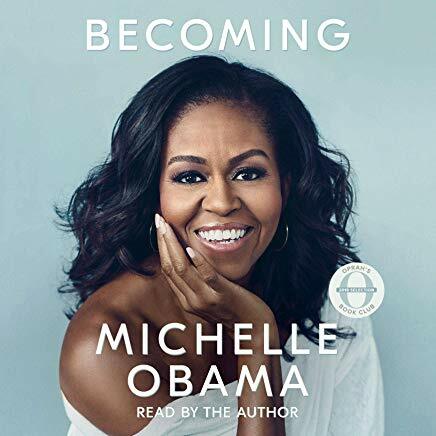 One of the ones I have read this month is Becoming by Michelle Obama and truthfully, regardless of your political stance, this book is a well-written, insightful, educational, page-turning read. I had a hard time putting this book down and I now understand why so many others have too! I hope you all enjoyed this month’s purchases! As always, I have my eye out for some more fun things because April is fast approaching! Have a beautiful day and comment any questions below!